Matthew Linfoot is Course Leader of BA (Hons) Radio and Digital Production. Areas of research interest include BBC Local Radio, LGBT media and history. Before joining the University of Westminster, he worked for BBC radio in a variety of roles, including co-presenter & producer of a weekly gay and lesbian magazine programme at BBC GLR94.9, as well as producing a sixteen part series of oral history programmes about London, The Century Speaks. Matthew won a SONY Gold Award for producing & co-writing You've Got To Hide Away, with Tom Robinson, which explored hidden gay subtexts in popular music. 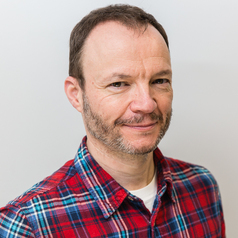 Matthew is currently a Member of the Steering Committee of the Radio Studies Network, and has been a judge for the Radio Production Awards and the Gillards (BBC Local Radio).